Just admit it—you used a translation tool to help you read that complex book, or to write that important email. Sure, no one talks about it in polite conversation. After all, what self-respecting Spanish student would touch such a thing? And why, of all things, do you need a translation website? There are so many ways to learn Spanish it is actually mind boggling. 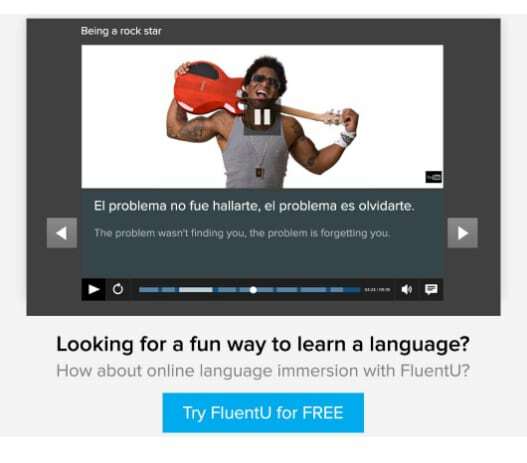 Spanish learning websites can help skyrocket your Spanish skills. 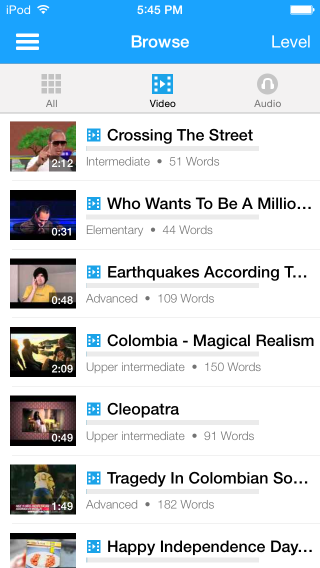 Great apps can help you sound more like a native speaker on the fly. Hey, even reading the news gets you a step closer to fluency. So, why work with Spanish translation websites when all this is out there? Well, when you have a large block of text that needs translation and a dictionary app just will not cut it, you will see no shame in resorting to the time-honored tradition of all Spanish language students: Falling back on Spanish translation websites. And, as it turns out, these sites do more than translate—they are excellent resources for learning and practicing the language. Why Use a Spanish Translation Website? Spanish translation websites are a quick and easy way to translate large blocks of text. When you have a lot of text, translating can be time consuming even for native-level speakers. Spanish translation websites allow you to just cut, paste and translate. A task that could normally take hours takes seconds. They are also relatively accurate. Spanish translation websites have come a long way over the years. Even if the text they produce is not always 100% perfect, the translation is usually accurate enough to at least get your point across. You can also learn from the translation websites. Apart from the obvious vocabulary they can teach you, they can be helpful for practicing conjugating verbs. For instance, if you are struggling with the imperfect subjunctive or the past subjunctive, try plugging in phrases like “If I were an animal, I would be…” or “If I were rich, I would buy…” It will help you see the conjugations in action! They are also great for listening practice since many offer audio translations. 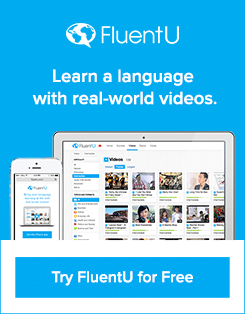 To see even more conjugations on the fly and learn in context, there’s one more website/app combo you should add to your toolbox: FluentU. You are probably already somewhat familiar with this option. Google Translate is a quick, easy and very well-thought-out program. It has tons of great features to help you learn while you translate—some you might not be aware of yet. To get started, just set your languages of choice and Google Translate with translate as you type or paste in the text. This will help you see how individual phrases translate. Furthermore, in ambiguous situations like “How are you?” while it lists the informal tú form in the main translation window, it offers the formal form as an alternative just below the main window. You can even use Google Translate to translate a document, website or spoken words. Another nice feature is that you can have Google Translate speak the text out loud so you can practice your pronunciation and listening skills. It is important to keep in mind, however, that the spoken version is very slow. While this is great for working on your pronunciation, you will not want to actually speak this slowly in conversation if you are looking to sound more native-like. It gets even better—Google Translate uses human power to make translations more accurate and natural-sounding. If you see a translation pop out that does not sit well with you, click “Suggest an Edit.” Rest assured that more learners and native speakers are out there doing the same every day, improving the overall quality of the site’s output. You can also click the star button to save your translation to a list of favorites and come back to it later, click the “copy” button for easy copy-pasting or even share translations with friends via social media, if that strikes your fancy. Reverso is another strong option for any of your translation needs. Like Google Translate, you are able to listen to the spoken versions of the text you enter. One unique feature of Reverso is that it gives you examples of using the phrase you typed in context culled from frequently translated texts. Another is the selection of foreign language characters offered beneath the entry box, so you don’t have to try to figure out how to type ñ or é if you are looking to do a quick translation or are using a keyboard that is not Spanish-enabled. There is also a nifty “context” mode where you can see how words and phrases are used in full sentences. 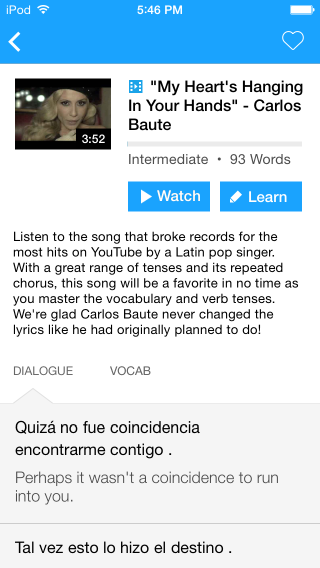 Here you will also find a mobile translation app, dictionary, a conjugator and separate website/document translator. When you type in “you,” Reverso usually uses the formal usted regardless of context. However, it will often generate example texts that use the tú form, so this is something to watch for. Like other translation services, SDL offers text translation with audio. Additionally, you can upload a Word document for translation, and you can send your translation to someone via social media platforms or email with a single click. It is important to note that this website will use the casual tú form of verbs even if it is not contextually appropriate, so always pay attention. PROMT-Online offers the standard feature of text translation with audio, with a few bells and whistles that are well worth checking out. For example, you can handily open up a Spanish keyboard right on the page and simply click any special characters you might need. However, what really sets PROMT-Online apart is that it offers tabs that also allow you to see Google and Microsoft’s translations of the same phrase. Another cool feature is that it offers “back translation” which means that if you start out in English, the website will translate the text to Spanish and then back into English so that you can ensure no meaning was lost in translation. Please note that this website uses the formal usted when referring to “you,” so if you are looking to write for or read about a casual situation, you will need to change this. 1. Avoid using colloquialisms in the text you want translated. Most translation websites do not recognize colloquialisms, euphemisms or slang (in any language) and will generate a direct, literal translation. So, when you write something in English to be translated, try to omit this kind of language. When translating from Spanish, pay close attention to individual phrases if the translation comes out a bit odd. You can actually learn a lot from this. A lot of times, you will not even realize that you are using colloquialisms until you notice that your translated text does not quite make sense. Google Translate is a notable exception to the rule about not using colloquialisms—it is actually programmed to recognize some slang, and all the folks who have clicked “Suggest an Edit” have almost certainly helped the site advance in this regard. Take, for instance, the slang phrase “shoot the breeze.” Most translation services will translate it to the very literal translation pegue un tiro a la brisa or disparar la brisa. However, Google Translate translates it to darle a la lengua, a Spanish colloquialism that is also used to mean “to chat.” Because of this rare feature, Google Translate is a service that you can also use to pick up some Spanish-language colloquialisms. 2. Enter text and translate. Most services have a text box that you can enter text into directly. Others also offer a window where you can upload your file as a document or enter a URL to have the text on a website translated. Once you’ve indicated what text you want translated, you will select which language you are translating from and which you are translating to and click “translate.” Your translated text will appear instantly! 3. Review your translated document carefully. Translation services are good, but they are not perfect. Most documents will probably have at least a few areas that you can improve upon by using your skills and knowledge. A few short texts might turn out perfectly accurate, but reviewing the translated document is still an important step. Computer-translated text needs a human touch to be accurate. Additionally, this is a valuable step in your learning process. It is a good way to practice reading and critically analyzing text, and this can improve your Spanish skills on the whole. Scan for errors and anything that sounds awkward. 4. Note phrases that do not seem correct and compare them to the original text to assess why the error happened and how to correct it. 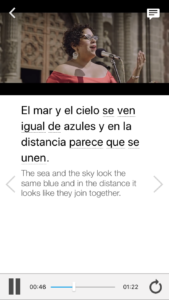 This will help you learn more about Spanish since you will be critically analyzing the text you have and seeing why the translation website generated this text. If text translated from English to Spanish produces something that does not sound quite natural, try translating individual words and phrases from English into Spanish to see what changes could be made, and what other translation options you might explore. You could try translating from English to Spanish and then back to English (or vice versa) to see if anything in the translation doesn’t quite compute. Additionally, this step in the process will help you produce better translated text in the future. If you can note what is going wrong with certain words or phrases, you can avoid using them in the future when you will want the text auto-translated, thereby making future translations more accurate. If, for instance, you realize that your translations are inaccurate because you’ve used a lot of colloquialisms, slang or misspellings, you can focus on avoiding these in the future. 5. 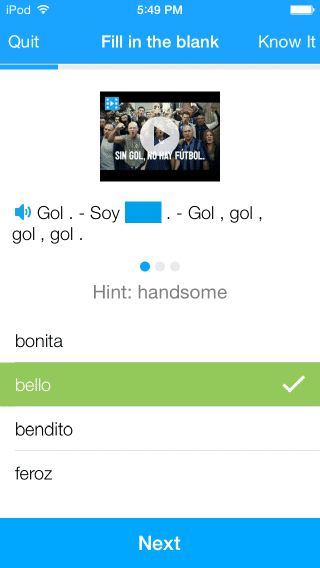 Use a speech input feature to practice speaking Spanish. Yup. This is a real thing. You will need to hook up a microphone to do it from a computer that doesn’t have a built-in one, but Google Translate can translate spoken text. This is a great way to practice your Spanish. If you are speaking clearly, Google Translate should be able to translate everything you say back into English. Didn’t translate correctly? Try again until it does. This will help you practice your pronunciation. 6. Use a speech generator to hear the spoken words. A lot of the translation services offer audio versions of the translations. Use them. While these audio examples are usually spoken quite slow for ease of comprehension, this will help you get the exact pronunciation down. Say the words along with the recording. Next, try saying them without the recording to see if you still remember what you learned. This will help you practice your reading, listening and speaking skills all at the same time. When you have text that needs to be translated and are prepared for a side of learning, do not shy away from Spanish translation websites. As you can see, they have a lot to offer!